and a truly great person loves his fellows because he understands them"
"What is greatness?" - WHAT ARE PEOPLE FOR? Here you can find personal tributes from some of the many, many, people from all walks of life who feel a great debt of gratitude to Ron. 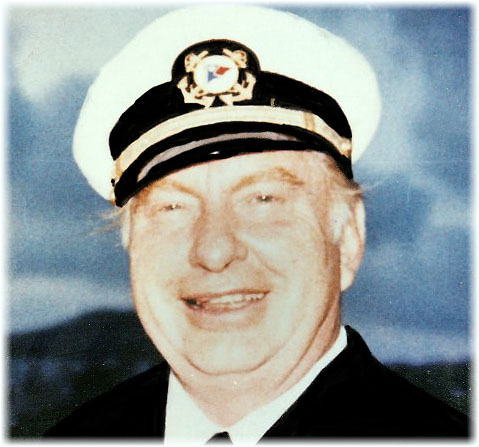 Lafayette Ron Hubbard was the discoverer and developer of the philosophy known as scientology. In the freezone it is known as the original working philosophy of Ron and includes the understanding of life, its component parts and potentialities. The application part of the philosophy includes activities which one can embark upon to improve one's life both in the spiritual sense as well as the physical. The philosophy and the application of it is found in the many books he wrote and the many thousands of lectures he gave which are available on audio tapes and CDs available from Amazon Books, eBay and other outlets. One of the 'tools of the trade' of an Auditor (practitioner) is what is known as an e-meter. This device is quite harmless and enables the auditor to guide the attention of the PreClear to the area or activity being looked at as the PreClear is usually unaware of the source of the difficulty. The original working philosophy of Lafayette Ron Hubbard has been compared to a bridge from current existing conditions to more aware and better states for man. A road out of the travail and pain we are often surrounded by. "To me, the most important foundation upon which Dianetics and Scientology is built was stated in the First Book, that is, "Man is basically good." I know of no one who believes this as strongly as Ron does. It is my feeling that this alone in times of contemptuous press, financial difficulties, the betrayal of friends, times when it seemed that all he had built was crumbling to pieces, kept him going, kept him persisting to his goal of helping MAN. In Phoenix after the fall of Wichita, a producer with whom Ron had worked in Hollywood came to see us at our small apartment. He was offering Ron what would seem to the ordinary man like ice cream and cake for eternity. After picturing this dream in the clouds, he said to Ron, "Now, really, do you think this Dianetics, this research of yours, is worth it?" Ron sat for a very long time silent, his eyes closed. Finally after what had seemed like hours he opened his eyes, and said, "Yes! Yes I do." After his producer friend left, I asked him why he had taken so long to answer. He replied, "I was watching pass before me a parade of all the people I had helped, their expression one of hope and faith in the goodness of the future. Nothing can be worth more to me than that. And that's the way he is. His belief in the innate goodness of Man, in being able to bring this and Man's abilities to the fore continues him in his research. It enables him to communicate to anyone despite their physical disability to do so, or any language barrier. Copyright © 2005 - 2019. ALL RIGHTS RESERVED International Freezone Association Inc., operating as the Association of Professional Independent Scientologists.